Muhammad Wilkerson would be a force on the defensive line for any team he plays for, thanks to his impressive height and massive weight combined with his football IQ. He was selected by the New York Jets in the 2011 draft as the 30th overall pick and spent the next seven seasons of his career with the team. Following his release, he was signed by the Green Bay Packers on a one-year deal where he’s expected to keep up with his exploits as a defensive end. So far in the course of his career, Wilkerson has been selected to the second All-Pro team by Associated Press and to his first career Pro Bowl, this was respectively in 2013 and 2015. With the Packers which he joined in 2018, he would play with one of the best quarterbacks in NFL history, Aaron Rodgers along with fellow defensive linemen Kenny Clark and 2017 Pro Bowler Mike Daniels. 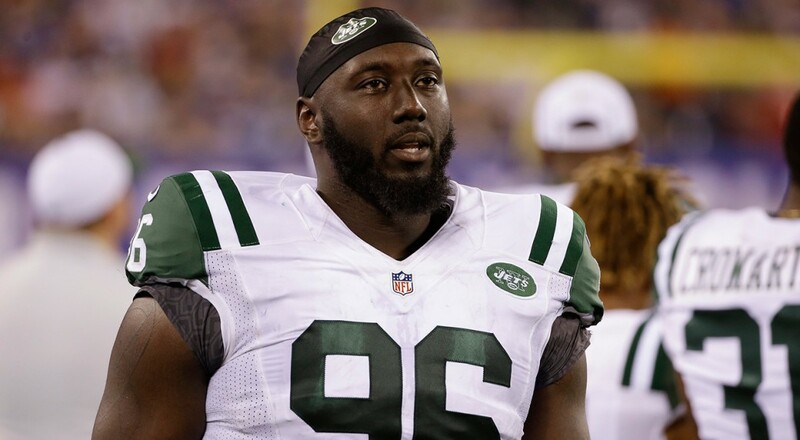 Born on October 22, 1989, in Linden, New Jersey, Muhammad Wilkerson attended Linden High School, New Jersey where he recorded 78 tackles, five sacks, one forced fumble, and one fumble recovery in his senior season. In his junior season also, he pulled off a great record and was named to the All-Watchung Conference first-team. Not only did he excel in the gridiron in high school, he was also a standout in the basketball team where he helped lead his team to state titles both in his junior and senior years. Muhammad spent a year at Hargrave Military Academy following his high school graduation before moving to Temple University in 2008. He was named to the first-team All-MAC selection and as the team defensive MVP after his junior season. Following a successful career at Temple, he was projected to be a first-round pick by analysts, though he was initially termed a sleeper selection, a fact he nullified after positive results at the NFL Combine and Temple’s Pro Day session. He was ultimately selected by the New York Jets as the 30th overall pick. Shortly after his draft, he signed a four-year deal with the Jets in July worth $7.4 million. After a seven-year run of breaking and dodging tackles for the Jets, during which he recorded 405 tackles with 44.5 sacks including a career-high 12 sacks during the 2015 season; 25 passes defended, 10 forced fumbles, 1 fumble recovery returned for a touchdown, and 2 interceptions in 105 games played; Muhammad Wilkerson inked a 1-year deal worth $5 million with the Green Bay Packers as a free agent in March 2018. The Jets released him after just two years into a five-year, $86 million contract he inked in 2016 due to a lingering tardiness and unacceptable behaviors on February 28, 2018. 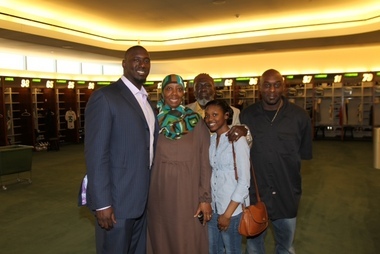 The 2011 first-round pick was born to devout Muslim parents; his mother Janice is a breast cancer survivor and his father is Alvin Wilkerson. He has three siblings – Haseez Brown, Zakkiyah Wilkerson, and La Quan Brown. Muhammad Wilkerson is closest to his mom whose name he tattooed inside a cancer ribbon on his right arm and refers to her as the source of his strength. Throughout the period when the defensive end’s father was incarcerated, his mother was there to keep the family functioning and together. She worked three jobs at once, all in health and public service fields to keep the family running and drove him from Jersey to Nashville, Tennesse so he could play basketball in middle school. And for all these, he is ever grateful to her and always look for ways to try to repay her for everything she has done including buying her a car and sponsoring her lifelong dream of taking a trip to Mecca. Though he is single and yet to tie the knot, he already has 2 children, a son, Muhammad (born in 2014) and a daughter, Heaven (born in 2012). The mother of his kids is, however, unknown. The Packers’ defensive end is a powerhouse, well built for the position he plays. With his chiseled physique, he is known for his ability to break and dodge tackles. With an impressive weight of 315 lb (143 kg), Muhammad Wilkerson stands at 6 feet 4 inches (1.93 m). His arm length measures 35 1⁄4 inches (0.90 m) while his hand size is 10 inches (0.25 m).